Scroll up or down to select your desired unit. 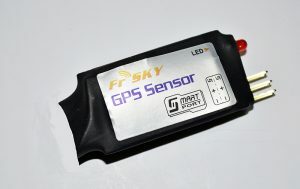 This sensor is not very accurate and the readings drift with the model and GPS sensor left stationary for a few minutes. For example the height can drift by 2 meters (about 6 feet).